We've all been there. You emerge from a bar or club in the small hours of the morning. You've had quite a lot to drink. You need food... not only to cure the munchies, but also in the desperate hope that it will soak up some of the alcohol, ultimately easing the inevitable hangover. Usually you would go in search of a kebab, burger, or a bag of chips. But if you're in Salzburg, only one thing will hit the spot - a bosna. The bosna is a bratwurst sausage in a bread roll, topped with a spicy sauce and curry powder. It is a relative of the currywurst, but personally I've never been a huge fan of this breadless cousin. For me, the bosna wins hands down. 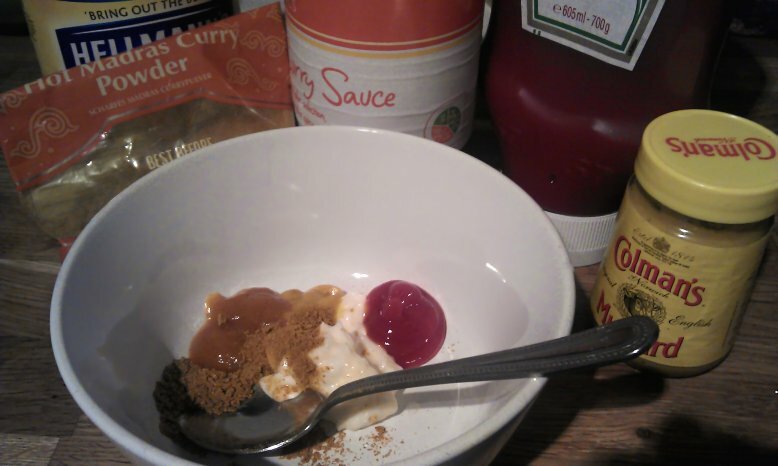 I made my sauce from a mixture of mayo, mustard, ketchup, curry sauce, and curry powder. I fried a bratwurst, and an onion. I lightly toasted a large hot dog roll under the grill. 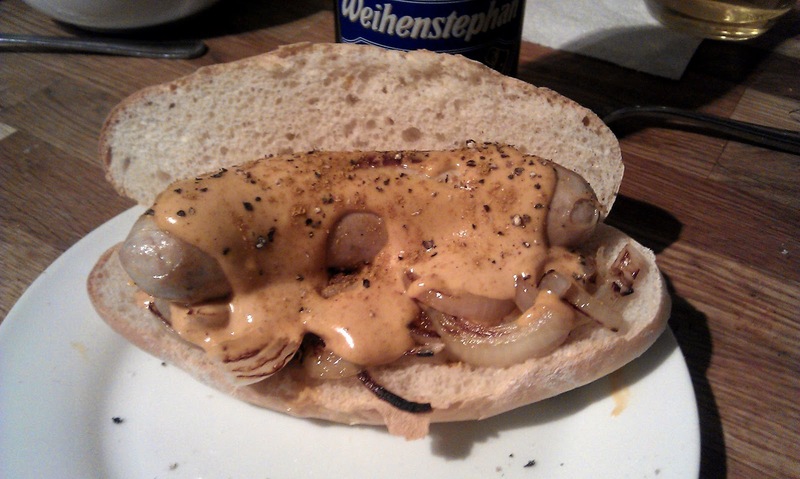 I assembled the sandwich, and topped with fried onions, more curry powder, and salt & pepper. This tasted very authentic - really close to some of the filthy fodder I've eaten in Austria. The only thing that let it down is the sausage (bought from Sainsburys). The texture was too smooth, almost like a bockwurst or frankfurter. It should be more coarse and meaty - I actually think a traditional english pork sausage would be a better match. Lidl... of course... the German supermarket chain. Why didn't I think of that! 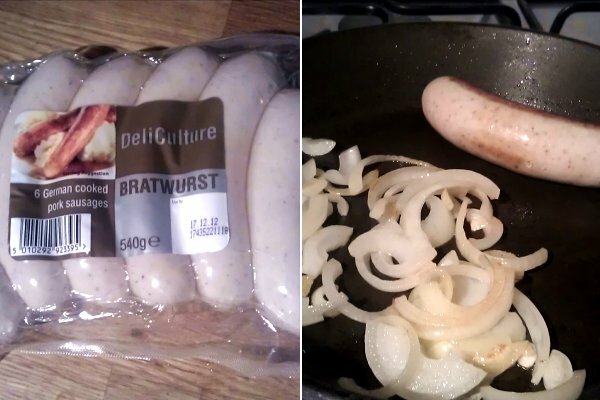 I will have to give a try but I agree with you - those deliculture bratwurst you can get in Sainsbury's are pretty naff. I can see that cheeky bottle Weihenstephan in the background...lovely stuff. I hear you, Richard. The sauce was good, but needs a better quality sausage. The beer - cracking. Better still is their Hefeweissbier Dark.